Foyers are one space in a home that are easily overlooked, even though they are the first thing you see as you come home. Once you’ve decorated the living room and the kitchen and the bedroom and any other rooms in your home, you might notice that your foyer looks a bit bare. By then, you might be stretching your budget. If you can relate, don’t give up hope! There is lots of furniture fit for a foyer that you can make with your own two hands. 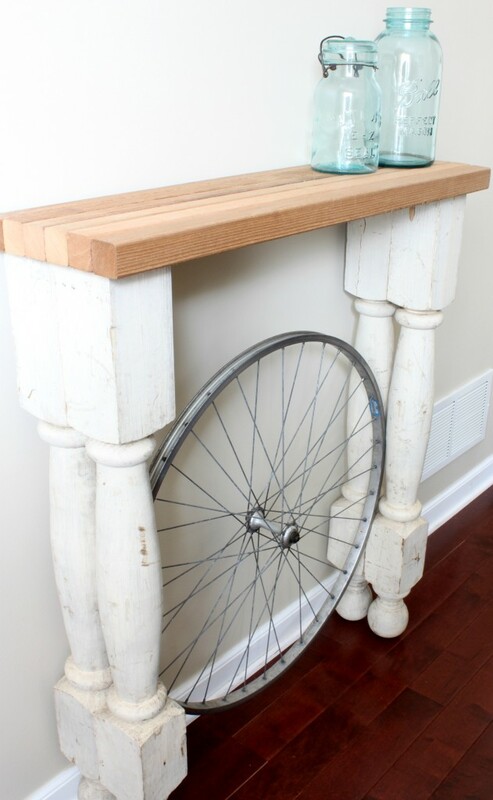 Check out these 10 pieces of DIY furniture that will make your foyer a beautiful one. 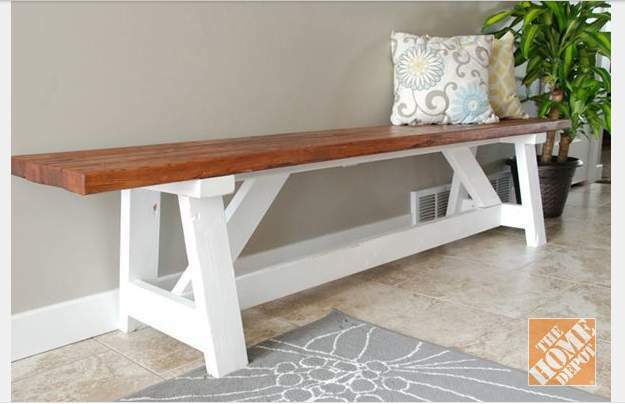 How great would a church pew be in your foyer space? If you’ve done your research though, those pieces can burn a big hole in your pocket. So grab your safety glasses and build one for yourself! You will have everyone asking where you bought it. Projects don’t have to take a month. 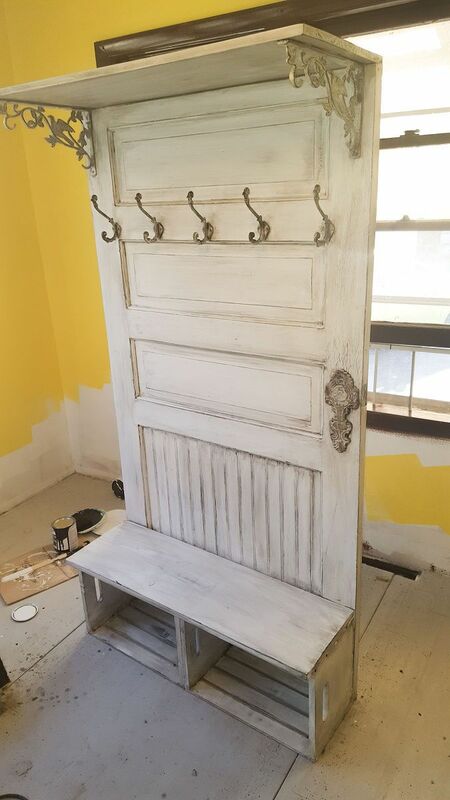 This DIY requires just a few hours for the paint to dry. Plus, you can use any large branches which means you already have the biggest part in your backyard. Sometimes the best pieces are the ones that are revamped into a new piece of furniture. 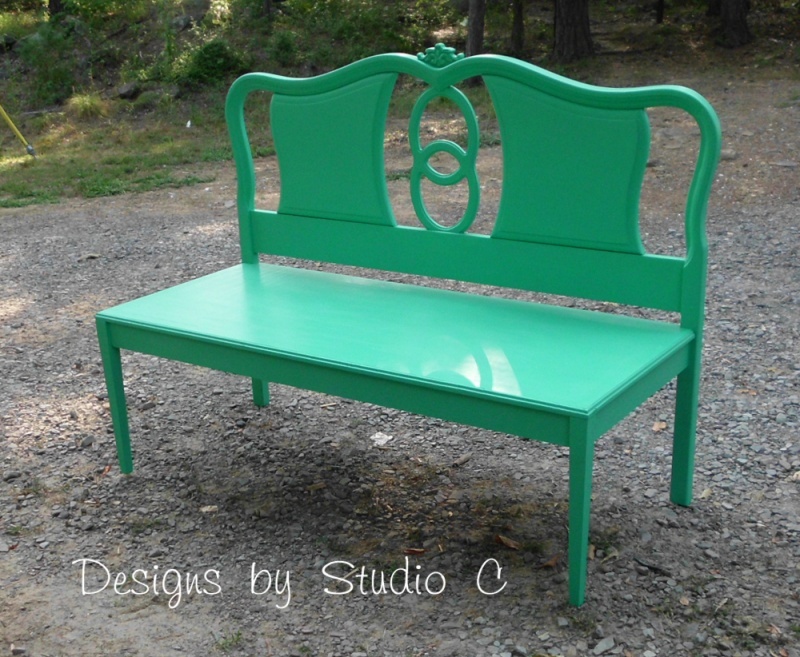 Go thrifting for an old headboard that you can make into a bright bench for your foyer. Maybe you’re thinking that you shouldn’t have a nice foyer due to all the dirty shoes and boots that tramp through it every day. 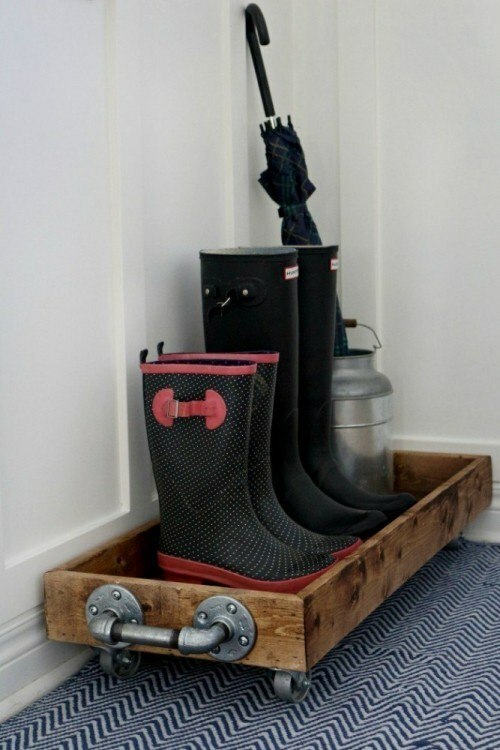 Build a boot tray that will keep the dirt and grime at bay and allow you to beautify your foyer however you please. 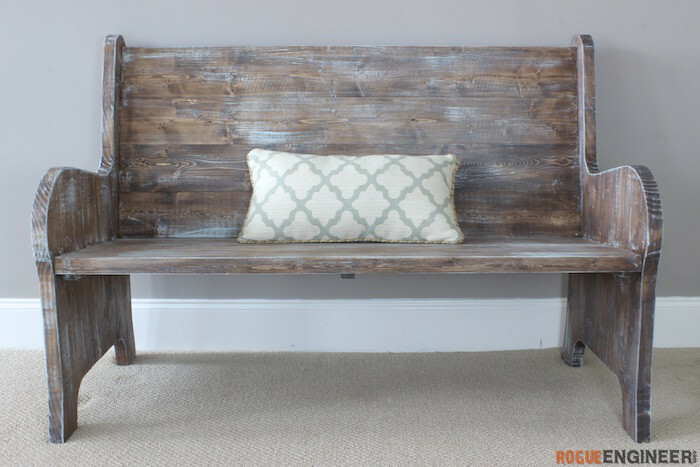 I about swooned over this farmhouse bench! It’s so simple and long, perfect for a foyer that’s more a hallway than a room. 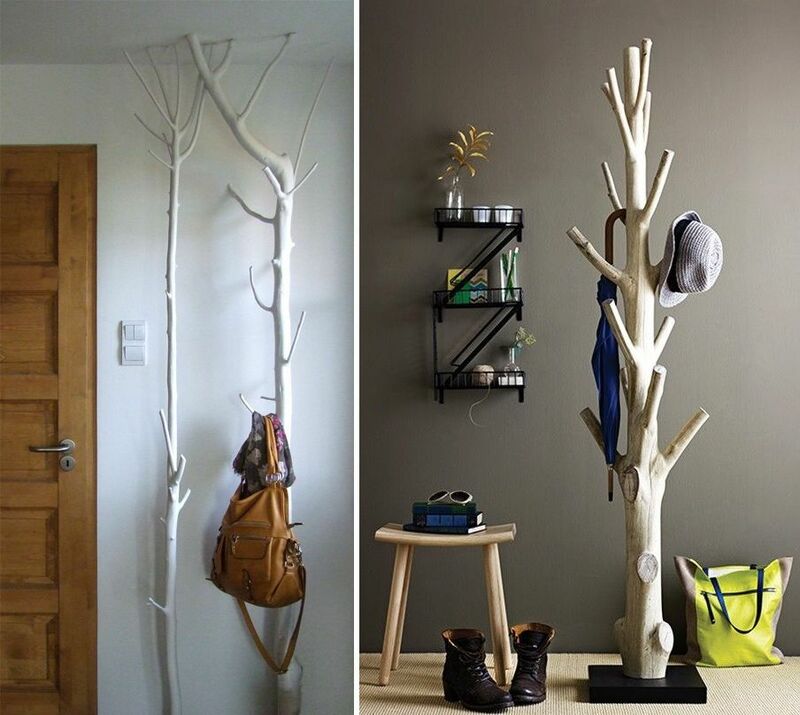 And you can paint it any style you choose, whether that’s white or grey or bright yellow. Houses with families need a little more than just a bench in the foyer. Get your working gloves out and put together a console like this that will hold all your family’s traveling necessities. Here’s a piece worthy of the multi-purpose award. The hooks will hold the jackets, the crates will hold the shoes and serve as a bench and there’s a shelf on top for baskets. And all with the vintage door as a background. What more does a foyer need? 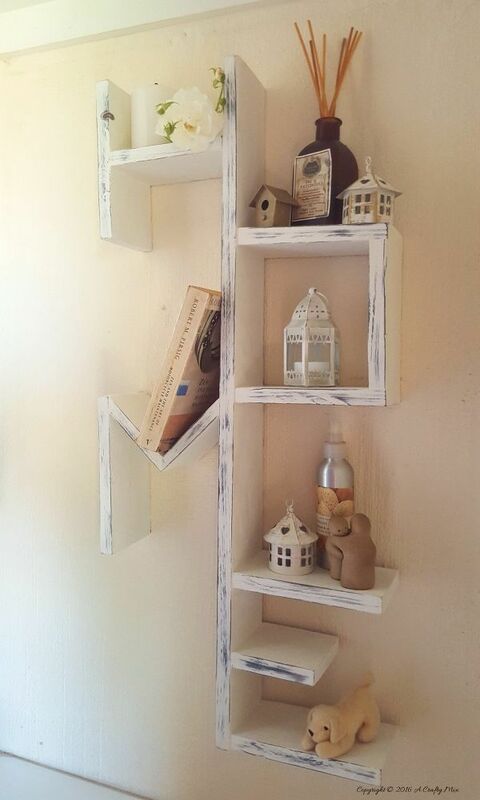 These home shelves are so much fun! For the foyer that isn’t really there, these shelves will keep things organize while acting as decor in your living room too. You know those old pieces in your attic that you’ve kept for “someday”? 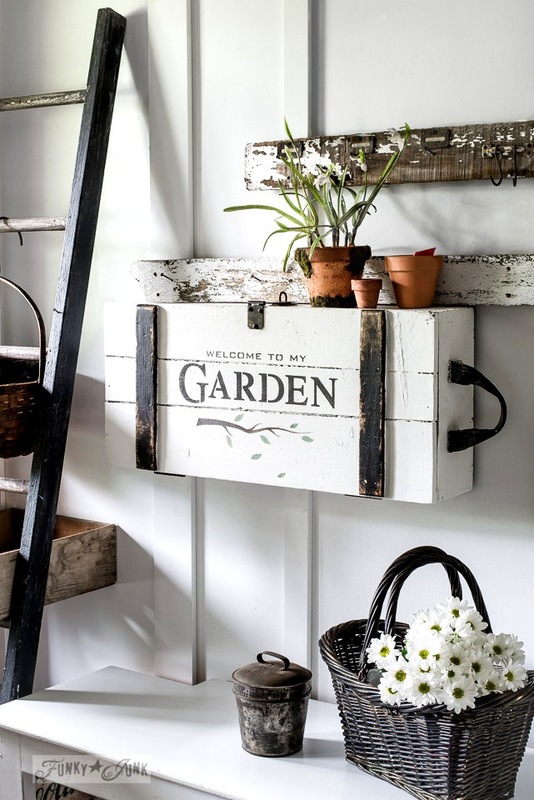 Get out the crate because you’ll want to use it for this project. 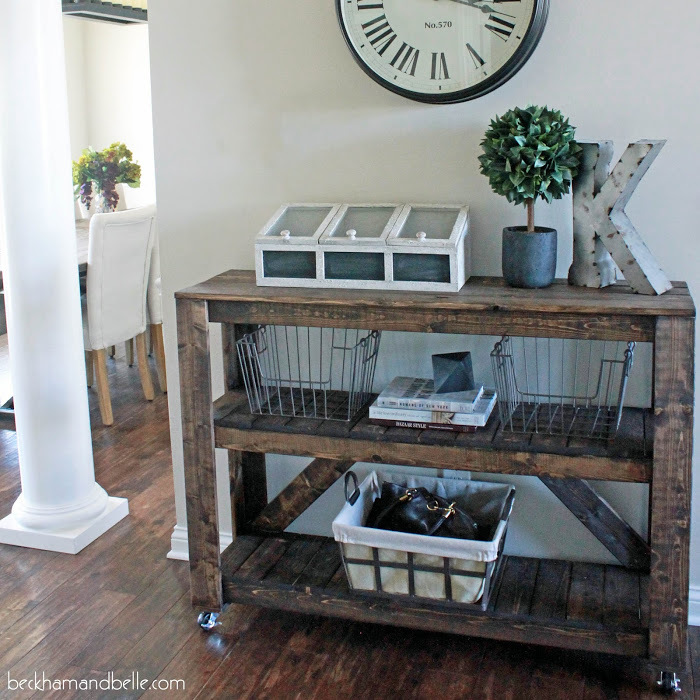 Mount it above a bench to serve as a shelf, storage and a little desk. Maybe you have a foyer but it doesn’t really give you much space to work with. That doesn’t throw you out of the furniture game. A tiny table like this will give you a little spot for keys and a picture frame while staying out of the way.